Global acrobatic dance sensation Cirque Du Soleil is bringing the magic and adventure of a forest to Birmingham with its show Varekai. This is the first UK arena tour for the production, which has been updated to include new acts. Cirque Du Soleil will perform Varekai at Genting Arena, next to the NEC, in Birmingham from March 1 to 5, 2017. The story is set in the mysterious world of Varekai, a world deep within a forest atop a volcano where anything is possible. To kick off the story, a solitary young man falls from the sky and the audience follows him as he makes a journey discovering an array of fantastical creatures. 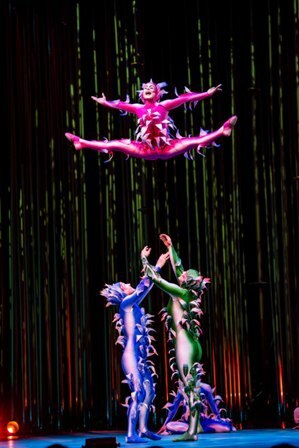 The word Varekai (pronounced ver-ay-kie) means "wherever" in the Romany language of the gypsies, the universal wanderers and so this magical tale takes families on a journey to "wherever". 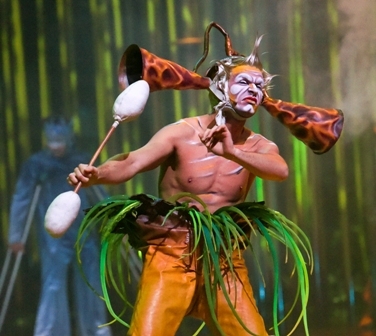 Lively characters feature in the Cirque Du Soleil show Varekai. 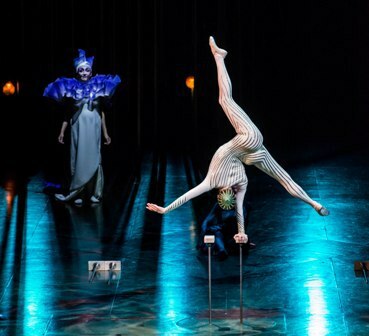 Directed by Dominic Champagne, this production pays tribute to the nomadic soul, to the spirit and art of the circus tradition, and to those who quest with infinite passion along the path that leads to Varekai. Cirque du Soleil began life in Quebec, Canada, as a group of 20 street performers in 1984, but gained fame for its acrobatic feats around the world. The company now has 4,000 employees, including more than 1,300 performing artists in nearly 50 different countries. Cirque du Soleil has performed to more than 160 million spectators in more than 400 cities in over 60 countries on all continents. It is a regular visitor to Birmingham, where its tickets are always in high demand with shows such as Alegria in 2012 and Delirium in 2007. Tickets for Cirque du Soleil's show Varekai cost from £51.43 to £62.68 and are available from the Ticket Factory website or by calling 0844 33 88 222. The show is on at 8pm every night from March 1 to March 4 plus matinee performances at 4pm on Saturday March 4 and 5pm on Sunday March 5.